Marsannay is a village level located in the northern part of the Côte de Nuits a short distance of Dijon, the regional capital. Chanson works with 4 growers in Marsannay who farm 11 acres, and has made this appellation an intense focus because of the serious quality the wines can achieve when diligently approached, and the sheer pleasure they can offer. Chanson’s Marsannay always shows lovely red fruit and spice supported by a generous body and silky, refined tannins. Marsannay is a village level located in the northen part of the Côte de Nuits a short distance of Dijon, the regional capital. 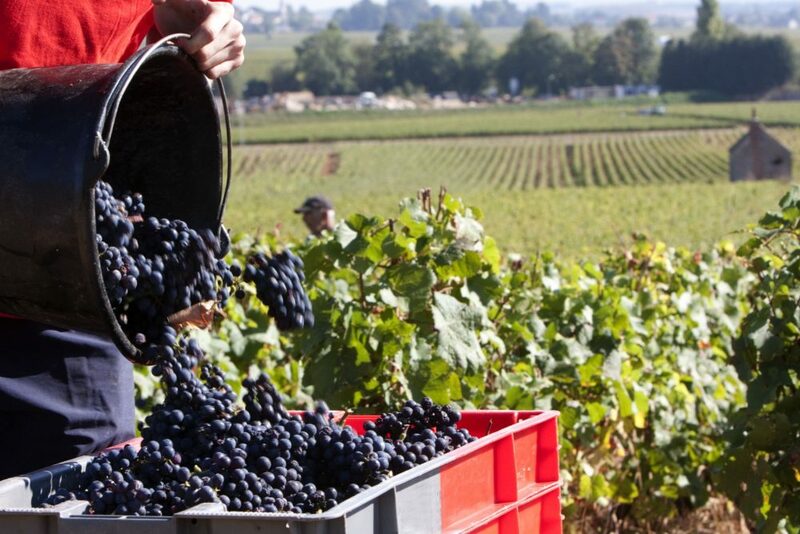 Chanson works with 4 growers in Marsannay who farm 11 acres, and has made this appellation an intense focus because of the serious quality the wines can achieve when diligently approached, and the sheer pleasure they can offer. Chanson’s Marsannay always shows lovely red fruit and spice supported by a generous body and silky, refined tannins. The wine is for the most part left alone, as the philosophy is one of “infusion rather than construction.” The wine is vinified 100% whole cluster to extract a deeper color and enhance the structure and aromatic complexity. The major condition is that the grapes must be perfect in terms of ripeness and condition. The reds have a perceptible style as a result: beautiful aromatics with complex spice complementing fruit on the nose and palate. Chanson also strives to maximize the preservation of fresh fruit characteristics, which is why grapes are chilled immediately on arrival in a proprietary tunnel that provides a very quick chill with no oxygen exposure. Reds then get a long cold soak and maceration. Then, Champagne-style fractional pressing is practiced to gently extract the purest juice. Malolactic fermentation takes place in barrel on the fine lees with no batonnage. Oak is used conservatively, with no more than 30% for the reds. Aging took place in oak casks for 14-18 months. Spring started with warm temperatures but cooler weather in April calmed the evolution of the vines. May was rainy but the rest of summer was warm with some strong heat waves. However, a few thunderstorm episodes brought enough rain to allow the maturation of the grapes to continue. The harvest started in early September and the grapes had excellent sanitary levels. Chanson's regional wine, Viré Clessé is one of the best white wines of the region, combining suppleness and minerality. The appellation lies in the heart of the Mâcon appellation in the south of Burgundy. The two villages, Viré and Clessé form a unique terroir on south-east facing slopes. In Viré, the soil is chalky with large layers of clay. In Clessé, the soil structure is slightly different, with a combination of chalk and clay mixed with liasic marls combined with oyster-fossils, giving the wine an underlying minerality. It's produced from a combination of Chardonnay and Chardonnay Muscaté grapes. 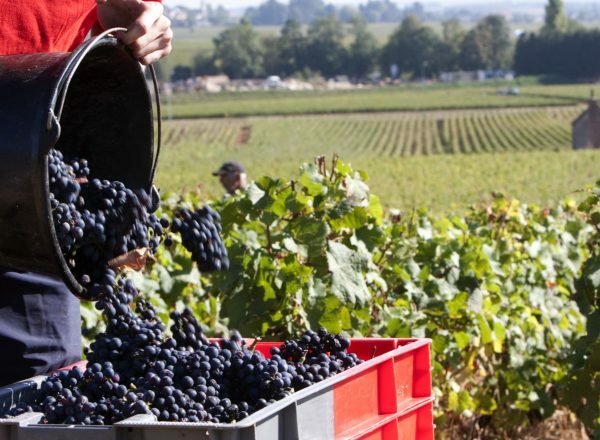 The grapes for Domaine Chanson’s Bourgogne Rouge are sourced exclusively from select estate-owned vineyards in the Côte de Nuits, as well as several terroirs located in the southern part of the Côte de Beaune. Chanson's Meursault is a village wine with Premier Cru standards. The grapes are from 4 different plots of vineyards from selected growers. 2 of these plots are located on mid-slope for finesse and minerality. The other 2 are situated around the village for more richness and depth. This serious Bourgogne Blanc is pale gold in color with intense aromas of citrus fruit, green almond and an underlying minerality. On the palate, it is well-balanced, with very pure fruit and a racy acidity. The finish is refreshing. It's perfect with charcuterie, pâté and goat cheese. The village of Chablis, located in the northernmost district of Burgundy, is known for producing steely, crisp wines with intense green-appley acidity and a firm, mineral backbone. Domaine Chanson makes a plot-based selection on hills ideally mostly located in south of the village. Gevrey-Chambertin is one of the major communes in the Cote de Nuits and is located in the northern part of the appellation. Fruit is sourced from 4 contracted growers from mid-slope vineyards bordering the prestigious Premier Crus, including the Lavaux St Jacques. This is a "coup de coeur" wine, meaning it touches your heart with its charming style and powerful aromas and flavors. Givry is one of the smallest but most famous of the 5 villages in the heart of the Côte Chalonnaise, in the southern part of Burgundy. Whole bunch maceration really helps this wine to deliver. It brings structure, matter and a touch of spiciness and freshness.